Dell Labor Day Sale featured on Bizwaremagic.com - savvy online shoppers can get up to 42% off select PCs, laptops and tablets. Alert online shoppers can receive up to 42% off popular Dell laptops, tablets and PCs this Labor Day Weekend. Latest online Dell Labor Day discount coupons are featured on the Bizwaremagic.com, a 12-year-old small business site which runs a convenient Laptop Computer Buyer's Guide for its visitors and subscribers. Potential customers can save up to 42% on popular Dell PCs, laptops and tablets this 2014 Labor Day weekend. Some of the discounted laptop sale items include $100 off the Inspiron 15 3000 Series laptop with the Intel Core i3 processor, 4GB memory, 400GB hard drive, and Windows 7 Home Premium for around $399. Get 42% off the Inspiron 15 5000 Series touch laptop with an Intel Core i5 processor, 6GB memory, 1TB hard drive and Windows 8.1 for around $599. Over 30% off the Inspiron 17 5000 Series laptop with an Intel Core i5 processor, 8GB memory, 1TB hard drive, and Windows 8.1 for just $649.99. Desktop sale items include $50 off the Inspiron small desktop 3000 Series with the Intel Celeron processor, 4GB memory, 500GB hard drive, and Windows 8.1 for just $249.99. Receive 31% off the Inspiron desktop 3000 Series with the Intel Core i5 processor, 8GB memory, 1TB hard drive, and Windows 8.1 for around $499. Also get $200 off the XPS 8700 desktop with the Intel Core i7 processor, 8GB memory, 1TB hard drive, Windows 8.1, and NVIDIA GT 720 graphics for just around $699. In addition, shoppers can save $50 off the Dell Venue 8 tablet with the Intel Atom processor, 1GB memory, 16GB storage, and Android 4.4 for just $149.99. Plus get an additional 10% on Dell electronics and accessories. Most sale items also come with free shipping but see the official Dell site for all terms and conditions. As an ongoing feature of its online Laptop Buyer's Guide, the Bizwaremagic.com site regularly posts the latest discount deals and coupons from major computer manufacturers/retailers such as HP, Toshiba, Alienware, Lenovo and of course, Dell. During these special holiday shopping events such as this current Labor Day Sale, potential customers can save 100's off their next computer purchase simply by using the listed discount links and coupons. Interested shoppers can find the Dell Labor Day Sale discount coupons here: http://www.bizwaremagic.com/Dell_Notebook_Coupons.htm or they can download our comprehensive laptop buying guide here:http:// http://www.laptopcomputerguide.org All products/companies mentioned above are registered trademarks of their respective owners and companies. 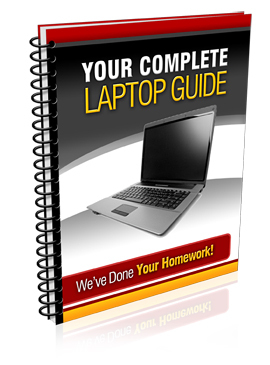 Laptop Computer Buyer's GuideA comprehensive laptop computer buyer's guide.